A warm welcome to our Promenade View Holiday Home. Promenade View is a semi detached Victorian house on The Promenade in Mumbles. The house has undergone an extensive restoration and is currently a 5* holiday let, which sleeps 6 and is located along the seafront, with spectacular views overlooking the Bay of Swansea. Situated within walking distance of Mumbles village, it sits at the southern tip of the Bay, approximately 5 miles from Swansea town centre. 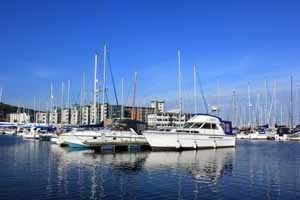 The accommodation has been finished to an extremely high standard with comfort and luxury in mind. It would suit up to 3 couples or a family looking for a convenient Mumbles location with exceptionally easy access to the many activities, attractions, restaurants, cafes and shops. 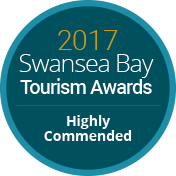 Your comfort and pleasure is of the utmost importance to us and our aim is to ensure your experience exceeds expectations and you leave with wonderful, happy memories of your time spent in Mumbles and Gower, with an overwhelming wish to return. Mumbles, also known as Oystermouth, is a thriving seaside town and is sometimes referred to as 'the gateway to the Gower Pensinsula', as Mumbles is the start of Gower's beautiful coastline, where you will find award-winning beaches and spectacular countryside. Despite being designated as Britain's first 'Area of Outstanding Natural Beauty' Gower has remained one of Wales' best kept secrets. It is an amazing place waiting to be discovered, its beaches are among the best in the UK, with Rhossili being one of the top 10 best beaches in the world, as voted in a tourist survey by TripAdvisor. Magical coastal walks, with coves and castles, Arthurian legend and many other stunning beaches are also waiting for you to discover. Mumbles itself has a long history and is known locally for its wide range of independent shops, great restaurants, ambient cafes and a variety of art galleries and craft shops. With such a lot to offer, we look forward to welcoming you to Mumbles, the 'jewel of Swansea bay'.